Smartphones and cars do not mix – or at least they shouldn’t be used together in the conventional way. Yet Apple and Google are changing the ways drivers commute, communicate and consume app-based content while driving. Apple CarPlay and Android Auto are the two latest plug-in-and-drive alternatives that are racing to be the first on your dashboard. The thing is, at this early stage, the two corporate giants – Apple and Google – are making agreements with auto manufacturers. While some have pledged their fealty to CarPlay, others have taken sides with Android Auto, forming the Open Automotive Alliance. But the integration is compatible with most vehicles, and odds are most carmakers will soon let drivers make the choice in deciding which infotainment system they prefer. Honda and Volvo are two of those brands, retaining the native system’s integration and empowering the drivers. But the question still remains, which is the right system for you? At their most basic, CarPlay and Android Auto offer the same seamless in-dash monitor connectivity with your smartphones without having to operate off an additional system. That means you can answer hands-free phone calls, listen to your music and utilize your apps through the dashboard display. Both platforms currently require a cable to connect the system to your smartphone, whether it be a Micro USB or Lightning cable. First-world problem: you’ll actually have to take your phone out of your pocket every time you want to connect it to your car. Hopefully, a wireless solution will materialize sooner than later for both systems. Many third-party supporters have also chosen to remain impartial by offering their product to both CarPlay and Android Auto. Partnership possibilities seem limitless at the moment as Spotify, iHeartRadio and others have already signed on. So, whatever one does, the other wouldn’t be that far behind, as most companies are wary of the idea of being exclusive. That philosophy has extended to the car manufacturers as well, as many are choosing to support both CarPlay and Android Auto. For those who have used both an iPhone and Android, you would know that the two smartphone experiences are unique to their brand. The same goes with CarPlay and Android Auto. 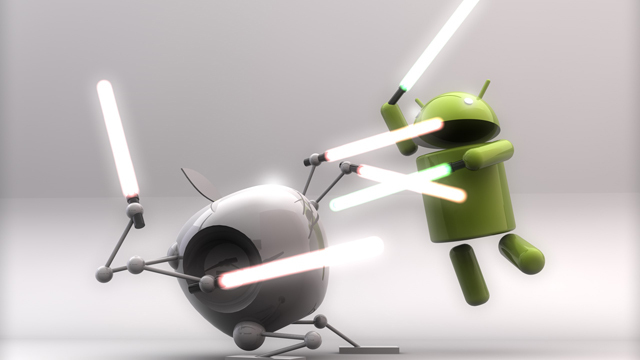 One is iOS and the other is Android—Duh! The Apple CarPlay, or formerly known as iOS in the Car, is just another extension of the Apple universe we live in. The system includes familiar services such as iTunes Radio, Apple Maps and good old Siri. Current iOS users may find it difficult to consider anything other than CarPlay, with its bold yet simple iOS 7 interface and minimalistic style. As far as compatibility goes, CarPlay will work with iPhone 5 and beyond. The Android Auto, on the other hand, serves its following well and is packed with the premium Google services, the kind that comes in handy during long drives, such as Google Maps, Google Search and Google Play Music. Another quality feature for drivers is the voice activation, which if you are a Google Now user, you should be familiar with. Google has made many improvements with designs over the years and it shows in the Android Auto, which follows the new Material Design principles, helping the brand stay consistent across platforms. Where the Android Auto falls behind is in Google’s platform adoption rates. Android Auto is compatible with Android L and onwards, but those that lack the operating system may need to consider improving their mobile device or continue waiting for an update. Bummer. What Vehicles Can Have Them? As it currently stands both CarPlay and Android Auto have partnerships with well over 20 automotive manufacturers in the market. Brands such as Audi, Chevrolet, Chrysler, Dodge, FIAT, Ford, Honda, Hyundai, Jeep, Kia, Mazda, Mitsubishi, Nissan, Ram, Subaru and Volvo are already offering options for both. Meanwhile, CarPlay currently has exclusive attention of BMW, Ferrari, Land Rover, Mercedes-Benz, MINI and Toyota. By contrast, Android Auto owns the dash of Acura, Bentley, Infiniti, Maserati and Volkswagen. So does your smartphone influence the next car you buy or does the next car you buy influence the smartphone you get? When it comes down to it, cars and gadgets are all about preference, and improvements are constantly being made. So, the choice is something you as an individual will need to consider for yourself, because you are the one who will be spending many hours on your smartphone and in your car. If you are a seasoned iOS user, we recommend that you stick with Apple. The system and style will be familiar to you and Apple platforms are user-friendly and tend to have a shallow learning curve. It would be nice to say that Android Auto would be an alternative for those who don’t have iPhones, but that is not the case. Although Android Auto proves to be a terrific platform in demos, there is a small percentage of smartphone users who are currently operating through the latest Android L. It’ll take a bit of time before Android gains more traction. Apple CarPlay has the experience, but Android Auto has the tenacity to challenge, so whichever you choose, you’ll know that the other side is not that far behind or ahead, keeping the battle of the dashboard competitive and exciting.